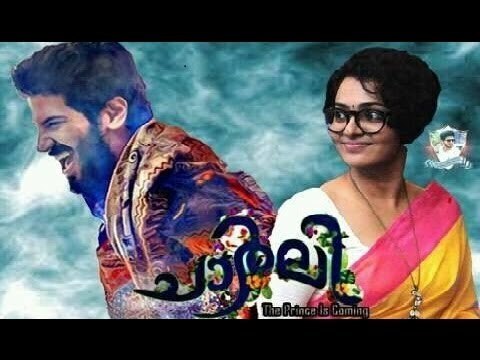 I watched Charlie, starring Dulquer Salman, Parvathy Menon, Aparna Gopinathan, Nedumudi Venu, and directed by Martin Prakkat. Gopi Sundar has blended in some magical melodies that will tempt you to sit back and simply put everything else on hold while you listen to it. Dulquer Salman is brilliant in this film, gets into the skin of the character and he has set the bar very high for his next batch of movies, with Charlie. The way he transforms himself into Charlie is impressive and almost effortless. The way Charlie bonds with every character in this movie is heart-touching, sheer magic. Tessa (starring: Parvathy) caught my interest from the first scene till the last. The way she talks, dresses, walks - everything has a spark. She goes in search of the distant and the forbidden. The only persons who understand her quirky spirit are her grandmother and a bestie who is a sensible journalist. The story begins when Tessa rents an awful apartment.While tidying up, she finds stories written by him and that perks up her curiosity. She wants to know what happens to the stories that were left half-written. In search of those stories, she goes, finding thieves, running after improbable witnesses and doing unthinkable things to get to the heart of the story she is trying to solve. The search for the story changes into something else - she begins to search for the magical storyteller. Without ever saying it, she begins to wait for a stranger she would probably never meet. But wait, this isn't just Tessa's story - the hero is Charlie! Charlie's mission in life is to surprise people, make them smile and transform their life. He celebrates life by challenging the social norms that exist in society. Don't be surprised to see that one day, he cuts birthday cake with a woman who is dying of AIDS and on another, he saves a doctor from committing suicide, takes her far into the hills and teaches her a thing or two about valuing not just her life but that of others too. I love the dialogue that is stated by Nedumudi Venu after he meets the love of his life, "If we knew back then that we were waiting for each other, would our lives not have been different today?" Every dialogue in this movie offers food for thought. A different kind of thought that breaks away from the montony of our usual, logical pattern of thinking and doing. We need more Charlies in this world, I say. This magical Charlie, he just won my heart. He reminded me of Rumi and Shams of Tabriz in the book, The Forty Rules of Love. Malayalam cinema news (chalachithram ) mollywood news here. Hope you enjoy too. Wishing a great year for Malayalam film Industry.